My Sketches from the SpoonChallenge! I finished my Cantaloupe Vineyard quilt and I am so excited to be able to show it off! It was a long process, mostly due to me purchasing each of the 3 yards of the quilt top separately to keep within my budget. There was also an issue of some of my batting getting lost in transit over the holiday mail rush. I literally didn't get my last yard of batting until the beginning of February. The center panel is my 1 Yard Cantaloupe Quilt Block with a yard of my Richard & Regelwyn Portrait fabric split into two sections on the top and bottom. 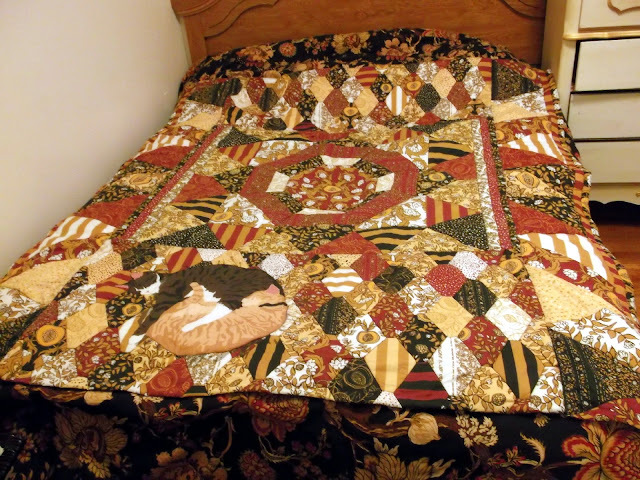 (If you wanted to do a similar quilt without my cats you can use Vineyard Quilt Tiles fabric instead.) The sides are a design made specially for this, Cantaloupe Quilt Frame, that also uses a yard of fabric. I made a shoe shaped pincushion, which should get its own post soon. My huge quilt is almost finished; all it lacks are the side panels. 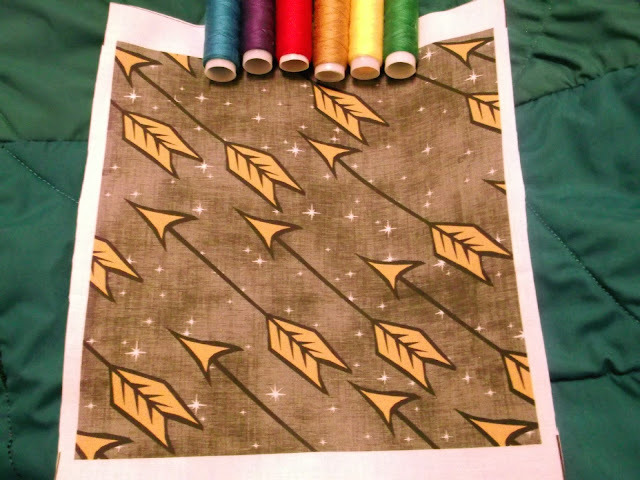 I'm sure there have been other things just falling through the cracks in my memory, but on to the fabric swatches: The colors look a bit off. I tried to put a range of colored thread to help my camera's automatic white balance, and this is the best photo of each swatch.